I’ve talked before about how music can have such a profound effect on one’s emotions. Some people cry easily. Me, not so much…but there are a few songs that can really get to me. There are good songs about crying, lots of them; there are songs that try to make you cry, where the subject matter is just so dismal you have to either laugh or cry. I’m not talking about those. I asked some friends what song makes them cry and came up with a profound list. Some choices I understood right off — “Amazing Grace,” “You Were Always on My Mind“; some were less obvious, but I could see how they could move someone — “Shelter from the Storm,” “In My Life“; a few of the songs I don’t know, but I’ll look them up. I didn’t ask the reasons, but my sense is that the songs my friends chose have special meaning for them, and that accounts for the reaction. Likewise, for me, it’s not the literal content that does it so much as what the song means to me personally. I’m not tempted to cry — and neither are my friends, apparently — while listening to classic 70s tearjerkers like “Alone Again (Naturally)” (parents die), “Shannon” (dog dies), “Wildfire” (pony gets lost in a snowstorm, presumed dead), or “Seasons in the Sun” (suicide, I think…it’s not really clear), for example. “The Wreck of the Edmund Fitzgerald” (entire crew of a ship dies, true story), maybe. No, I cry when a song is connected to my real life in a profoundly emotional way. I can think of three such songs off the top of my head, none of which is inherently sad. In fact, they are all sort of celebrations of love…but they are decidedly not silly love songs. There is a hint of melancholy to them all. At least that’s my perception. This entry was posted in 00s music, 70s music, 90s music, love, relationships and tagged crying, emotion, Moby, Roberta Flack, sad songs, Sade, songs that make me cry, tearjerkers by davexrobb. Bookmark the permalink. 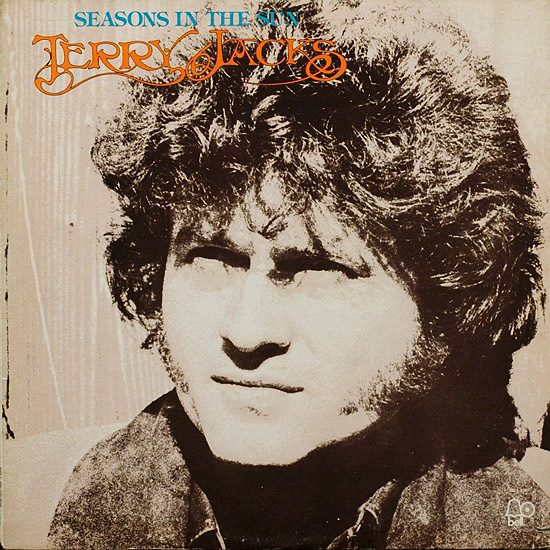 I remember hearing in the 70s that “Seasons in the Sun” was about someone (voiced by the singer) dying of leukemia. oooh, this calls for a revival of Brian’s Song!